The earlier part of the decade was tough for new graduates, but thankfully, recent years have seen prospects for job growth, and a plethora of new trends emerging – including multiple employment, diverse income streams, and career agility. Job growth also means tighter competition. To attract the attention of your target companies, it is important to strengthen your online presence and use social media to build vital networks. In this post, we present a few trends to watch out for. LinkedIn has 500 million users, many of whom use the job section to recruit new talent. Make the most of this service, by signing up for jobs alerts and discovering connections that might serve as a bridge between you and a recruiting company. Other companies use automated software to find candidates. In either case, make sure you use the right keywords and list your achievements in a clear and appealing way. Don’t simply upload your CV; develop a detailed plan for finding a job, which includes building networks and being active on them. Share content, provide links to your blog or website, and show companies your area of interest of specialization. LinkedIn now has a paid service which allows you to send private messages to members you may not be connected with. Signing up for this service may be worth your while if you are trying to break into an industry or find employment in a specific group of companies. Once you are shortlisted for a job, be prepared for social media checks. How vocal were you during the last election, and what type of content do you regularly post? Be sensitive about the type of media (especially imagery) you upload and ensure there are no inconsistencies between what you communicate to a company, and what your social pages reveal – for instance, dates and qualifications listed on your CV and LinkedIn profile, should be identical. Savvy companies often advertise openings on their social media pages. Make a list of target companies and check daily for any job posts advertised on their Twitter and other social pages. Job boards are likewise important, with Forbes reporting that search engines and job boards produce 94% of interviews and 86% of hires among companies who use external sources for recruitment. Top boards include Indeed,com and CareerBuilder. 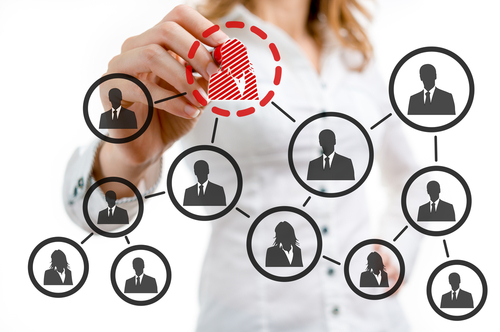 As for internal origins for candidates, referrals still rule. This is precisely why being active on LinkedIn and other social networks is key; you never know if the person you spend time chatting with online, knows of a job opening or is impressed enough to recommend you in an organization they know or work for. Recruiters faced with a plethora of CVs have just a few seconds to look at each one. It is important to catch their attention by creating your personal brand and style, without going overboard in design features (since simplicity is key). Make sure your CV is keyword rich, in order to be ‘caught’ by automated software. Focus on only relevant experience; don’t list every single responsibility, but rather, list the results you obtained in each post you have held. Market your CV at the particular employer by focusing on areas or abilities you think will capture their attention. Be brief and edit your CV various times to allow for conciseness and clarity. 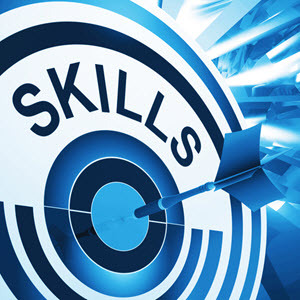 Think about including a skills section (instead of an objectives session), which will show employers your strengths. Finally, use bullet points or (if you are applying for a creative job) infographics to make your CV easier on the eye. 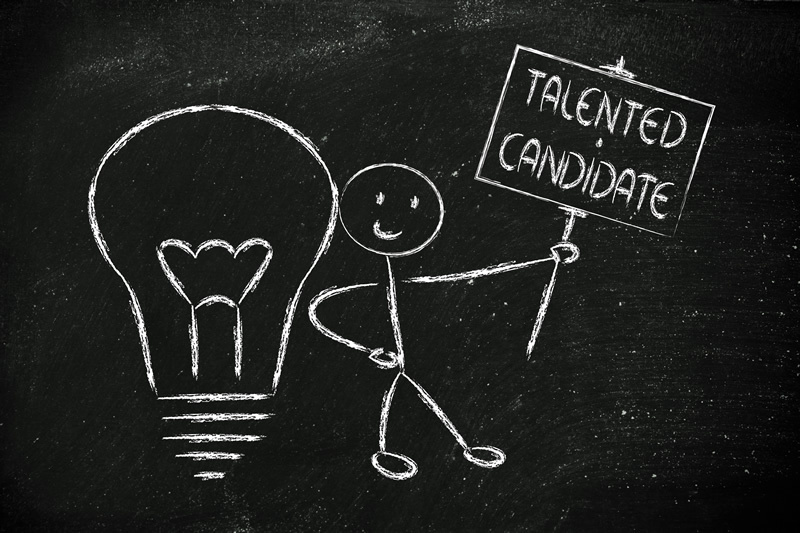 It is an exciting time for job searchers and recruiters alike, with online apps, software and social media sites offering new ways to connect companies with top talent. Make sure to use LinkedIn and other sites to your advantage, learn how to use keywords in your CV, and most importantly, build vital networks. In the new millennium, the old adage is truer than ever: sometimes, who you know matters more than what you know. When you are looking for a new job as an executive, you need a resume that will stand out from the competition. That said do you feel like you alone have the ability to craft a stellar resume? If not, where will you turn for assistance? If you are thinking that help is needed, turning to an executive resume writing service could be the best call you ever make. For those in this position, how do you know you’re hiring the best executive resume writers to handle the job for you? Do you go with those having the most experience? What about those coming in with the most affordable rates? Lastly, how can you separate one from the other? With all these questions to answer, be sure to take the time in sorting through a number of executive resume writing services, ultimately deciding which one has your best interests in mind. The days of simply dropping a resume in the mail and waiting by the phone for a call are all but gone. In today’s digital age, the majority of resumes go via computers and mobile devices, with both substance and design at the top of the list of winning resumes. Personality – Given executives are oftentimes tasked with running meetings, rallying the employees together, and breaking down how each employee under their management will best assist the company, executives need to have a personality that paints them as both leaders and trustworthy. If you have a personality that is more introvert than extrovert, you could find yourself facing rather difficult hurdles in an executive role with a new employer. Employers want to see someone who can take control of a situation, giving direction to each and every worker. When it comes right down to it, employers want executives who can come up with solutions, not lead to more issues and/or problems to be solved. It is all a matter of being willing to take the bull by the horns, not stand in the background. As you interview with different employers, show them that you are able to step up and be noticed. When the time comes for your executive resume to shine, don’t hesitate to reach out to a service that can do just that. In a day and age when jobs can be difficult to come by, it is important that you do all you can to make your resume stand out from the crowd. In doing so, you will position yourself for an executive job, one that may very well keep you employed for years to come. Just remember that your resume says a lot about you in terms of your experience, personality, character and more. Turning to professionals to help you highlight those traits is your first step. When it comes to resume perfection, there is some information you should definitely include and some you shouldn’t. Employers want enough background to make their decision, but too much can oftentimes detract from your outstanding qualities. Building the prefect resume is all about putting the right information front and center. Include Facts and Figures – Whenever possible, you should include facts, figures, and other quantifiable data in your resume. Hiring managers love numbers, especially when they help explain your accomplishments. So, instead of saying you raised money in a company fundraiser, say exactly how much and how you went about doing it. 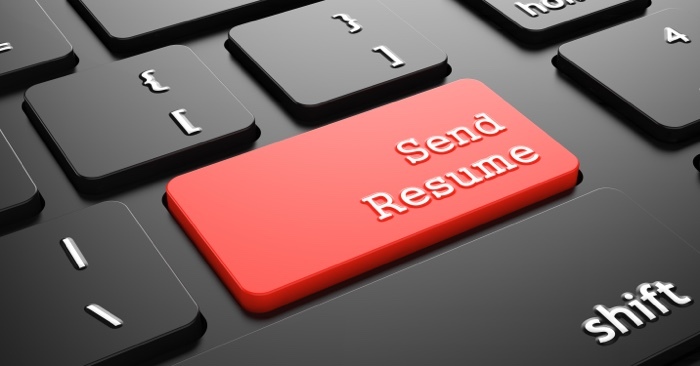 Think Keywords – With the advent of online job recruiting sites, more and more companies are using automated resume screening software to help handle the increase in applications. As a result, it’s important to include job position keywords in your resume that come directly from the job listing. Doing so helps the automated scanning equipment find your resume. Don’t Neglect URLs – As the following article looks at, if you’re trying to figure out how to prepare your resume for a cosmetology career or any other line of work, don’t forget to include relevant URLs. Whether you have a professional blog or a few reputable social media profiles, sharing URLs on your resume will give employers a more in-depth idea of your abilities and talents. Include Failures – It might sound counter-intuitive, but including past failures on your resume, whether it’s a failed business venture or other, can actually prove to employers that you’ve learned from your mistakes. Likewise, including failures also shows employers you take risks and still strive for success. Don’t Forget About Your Successes – A resume is the one place where you should gloat about yourself. As long as it’s relevant to the job, including awards and other recognition will put you ahead of other applicants. Unrelated Work Experience – If you’re applying for a job in accounting, hiring managers aren’t going to care about your past job working as a camp counselor or waiter. In other words, make sure the work history you include on your resume is relevant to the job at hand. Base Your Objectives in Reality – Employers love go-getters. However, don’t go over the top with your objectives statement. Being confident, but also reasonable, is the most attractive part of any new recruit. Keep Hobbies to Yourself – Hobbies are a good thing to have, but employers don’t really care what you do with your free time. Including your hobbies on your resume says to employers that there’s something in your life that will detract from your work. Avoid Typos – If there’s one thing you definitely want to leave off your resume, it is poor grammar and typos. One poorly placed typo could be a deal breaker for a stingy hiring manager. Non-professional Contacts – If a contact can’t represent you professionally or say something meaningful to your character, leave them off your resume. It’s that simple. When you’re ready to send off those job applications, keep in mind the resume pointers above. About the Author: Adam Groff is a freelance writer and creator of content. He writes on a variety of topics including job hunting and resume writing. What Does My Resume Say About Me? If you’re just getting started on your first (or 10th) job search, keep in mind that your resume is one of two vital documents (including a stellar cover letter) that are required to apply for most jobs these days. It’s vital to make your resume concise, clean and ultimately paint you in the best possible light. As the head of recruiting and hiring at my job, I’ve seen thousands of applications. Sure, maybe you were the vice president of math club back in high school fifteen years ago. Awesome, congratulations. However, unless you’re applying to be a math tutor, teacher or anything very relevant, it’s likely time to take that off your resume. The goal here is to paint the picture of yourself that is relevant to the position you are applying for. At the top of your resume write “*Relevant Work Experience” to indicate that there is more, but these are the jobs, skills and experiences that show why you are the best fit for the position. 2.) Be Brief and Concise. While the quality, skill, experience, or strength of any candidate is not necessarily connected to brevity, it’s important to remember that people like me are reading tons of applicants every day. Getting your point and skills across quickly– such that it can be scanned– is vital. If you have more than five years of work experience, don’t feel like you need to limit yourself to just one page. A recruiter or hiring manager doesn’t care if it’s one page or two pages long. What matters is whether it’s easy to read and clear. Spend an entire day making this document as clean, clear and as readable as possible. If there are any typos, fix them. Send it to your parents, friends and ex-girlfriends. Get all their critiques, edits and suggestions. Then rewrite the entire thing. Get rid of unnecessary words, make sure your verbiage is accurate and read through it so many times your eyes start to bleed just a bit. Then read it again. While this isn’t your resume, it’s vital to your success. A great resume is nothing without a clean, readable cover letter that explicitly states your intention, interest in the particular role and why you’re the perfect person for the job. While one could write a book about the perfect cover letter, that is the topic of another article. Good luck, and keep it simple, honest and clean. About the Author: Peter Walters is a freelance writer who has written for various websites over the years, among which include MediaShower.com. Want to work with kids and educate them for a lifetime. If you’re currently in school to be a teacher, just graduated or are maybe looking to change school districts, it’s imperative that you have an outstanding, up-to-date resume that sets you apart from the rest. Principals receive hundreds of applications per year, and with your resume being the first thing they see, you want to get noticed. While some may be apt to ask “How much money will make you happy?” keep the bigger prize of a rewarding career in mind. Develop a cover letter – Cover letters are of utmost importance in the field of teaching. Your cover letter is where you can show how passionate you are, how caring you are and how you’ll be able to impact the students for the better. Resumes state facts; cover letters show who you are as a person. This is your chance to separate yourself from all the other applicants. Get the reader to like you via your cover letter. State what you’ve accomplished – Instead of simply stating on your resume that you’ve “Worked in the teaching industry for 10 years,” focus on what it is you’ve accomplished. “Advanced students from the third to fourth grade for the past five years” or “Developed challenging new lesson plans each year, improved students’ test scores on a yearly basis and mentored other teachers’ regularly” is much more specific. All teachers taught, but what is it that you specifically accomplished? Be clear and concise – Stay focused on the end goal of your resume—which is to land you an interview. As easy as it can be to write in paragraph format or be extremely wordy, avoid this. Use bullet points and make your resume easy for the reader to move from one topic to the next. If a resume is too wordy, there’s a good chance it will get overlooked. Use keywords – With today’s use of high-end technology, most school districts have you submit your resume online and then use a scanner to find the best resumes. This means yours needs to stand out not only to an individual, but to a computer screening system as well. Do your research and include words that are used commonly by the school district and found in the job posting itself. Common keywords for teaching resumes include: creative lesson planning, discipline strategies, curriculum design and development, technology integration and more. Have someone proofread it – This goes without say, but a resume with grammatical or spelling errors will most likely never land you an interview. It can be easy to overlook simple mistakes from your own work, so ask a trusted friend or professional to proofread your resume for you. They may catch an obvious mistake that you overlooked—even though you proofread it a thousand times before. Keep it current – Finally, we recommend taking a look at your resume yearly to make sure it’s current. This prevents you from forgetting something important you may have accomplished five years ago. Add accomplishments, awards and achievements as you go—making it easy to keep your resume up-to-date. Remember, every career field is extra-competitive now. With the job market the way it is, landing a job is difficult. Do your part by searching for jobs daily, showing passion and interest in the field and having an outstanding, one-of-a-kind resume. About the Author: Sarah Brooks is a freelance writer in Charlotte, NC. She writes on careers, personal finance and travel. Are Job Boards Winning Over Applicants and Employers? As an employer, have you ever wondered if job boards are worth the effort? As an employee, do you second guess yourself as to whether you should bother to upload your resume? Here are the pros and cons of job boards and what value they hold for both employers and prospective employees…. Job boards provide a centralized location for job availability. If you’re looking for a job, it’s convenient to be able to log in to one centralized website, enter relevant keywords, and find open job positions in a short period of time. If you’re an employer looking for qualified candidates, job boards provide an excellent means to source those candidates and draw attention to openings you need filled. Quality job boards usually equal quality candidates, so be sure you choose wisely when it comes to job postings. Job posters know they can post a job once and receive tens or hundreds of qualified job applications for every job opening. Job boards provide a centralized location for openings that employers can use to minimize the work involved in hunting down candidates. When busy employers want easy accessibility to applications and cover letters, job boards are the answer. Employers receive instant notification when applications and cover letters are submitted, as well as instant download status. The generic feature of job boards is a negative when employers are looking for candidates to fill jobs that may not match traditional profiles. The one-size-fits-all approach to filling out job opening order forms may not actually be a good fit for some types of companies. Both employers and employees may not necessarily like the lack of personality of job boards. The whole process removes the individual and personal approach to job hunting. In some instances, it’s impossible for a job hunter to contact the employer in any way but through the formal job board interface. More is not necessarily better. Some job boards do a less than stellar job of filtering out applicants that don’t satisfy minimum job requirements. Since it’s easy to click on “apply” buttons, employers sometimes find their inboxes filled with hundreds of “junk” applicants that they wouldn’t otherwise have to be bothered with. As the following article looks at, just how employers gauge the effectiveness of job boards has a lot in common with how job candidates view the job boards process. Both viewpoints are valid, and both viewpoints are geared toward the same goal. Employees want jobs that will fulfill career goals and employers want candidates who are qualified to complete the job skills necessary to drive the company profit margins up. With that in mind, what do you think of job boards?